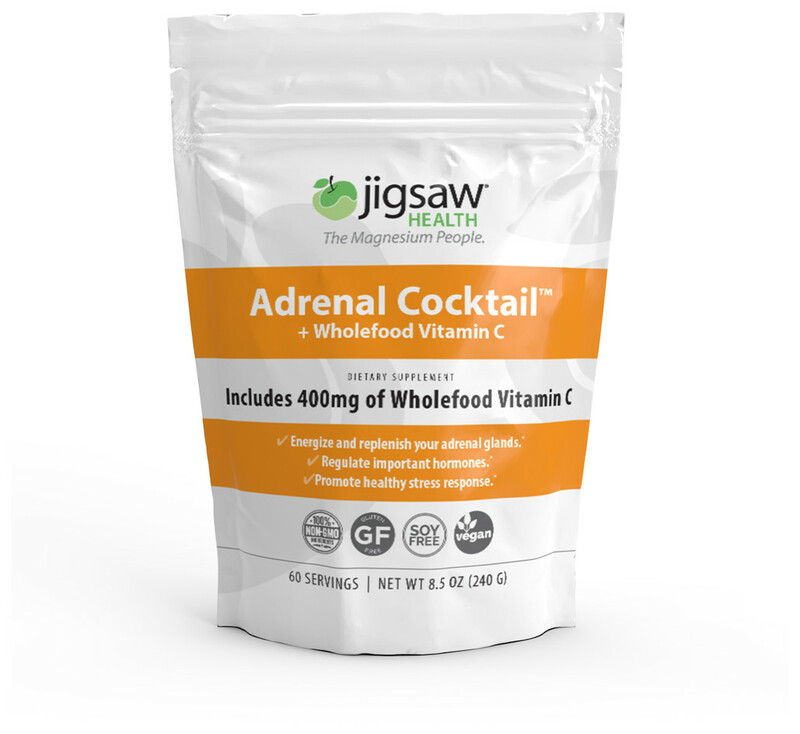 Jigsaw Adrenal Cocktail™ combines 400mg of Wholefood Vitamin C, Potassium Bicarbonate, and Redmond's Real Salt® in a unique formulation designed to support healthy adrenal gland function. * Vitamin C plays a critical role in adrenal function, including their ability to produce numerous hormones. In fact, the highest concentration of Vitamin C in your body is stored by your adrenal glands. * Additionally, sodium and potassium do a delicate dance in your adrenals and are both vital minerals for normal adrenal function. * Finally, stressed adrenals deplete your body's suply of magnesium. So complimenting Jigsaw Magnesium supplements with Jigsaw Adrenal Cocktail™ will help your body use magnesium more effectively. Serving Directions As a dietary supplemennt, mix 1 packet in water or juice and stir thoroughly. Or use as directed by your healthcare profesional. FDA Disclaimer Statement These statements have not been evaluated by the Food and Drug Administration. This product is not intended to diagnose, treat, cure, or prevent any disease.